Booties have shown their staying power over the past five years. This year they are getting a slight upgrade with fresh silhouettes and shades. If you don't have a fun pair and an everyday work horse, you may have a gap in your wardrobe! Read on for our favorite picks for the season by category. In San Francisco, the hills can finish a pair of heels in one evening. 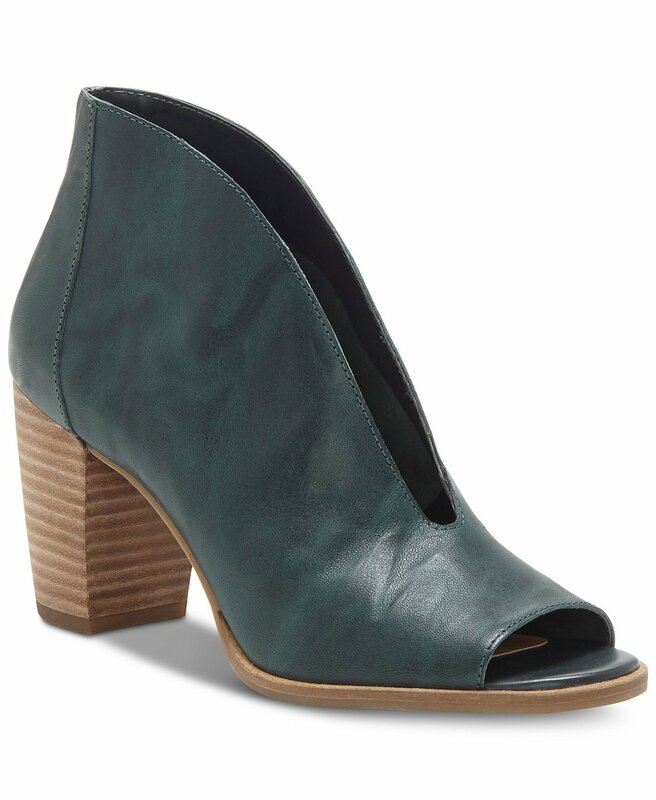 We love the idea of pairing a stylish block heel or wedge bootie with an outfit that will last all day long. A edgy detail like the Yente boots are a take on a more expensive Rag and Bone design this season. If you are a little more daring an animal print or pattern will add interest to an outfit. Having a great bootie that you can rely on day in and out is an essential, and an upgrade from a flat. The key to finding the perfect bootie is durability, cut (look for styles that show more ankle for versatility and a slight heel or pointed toe to elongate your look), and color. A neutral shade in black or brown will easily flow with everything in your wardrobe. Need to up your office shoe game? Explore a new addition to the bootie family this fall. We like the idea of adding a little perspective with a heel, just be sure to choose a height that you are comfortable with. The "shootie", ugh Kimberly cringes at the name, luckily looks more interesting than it sounds. Posted on September 7, 2018 by Kimberly Gant and filed under Stylish Living, Style Stories, Women and tagged Booties Fall Trends shoes Lucky Brand Madewell Calvin Klein booties Anthropologie.